Community is very important to Hangar 41. 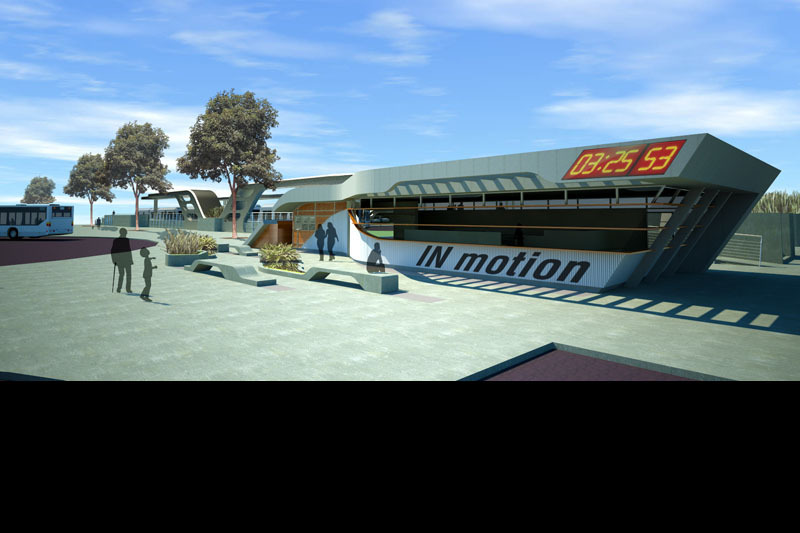 We believe that architecture can - and should - improve the communities in which we live and work. 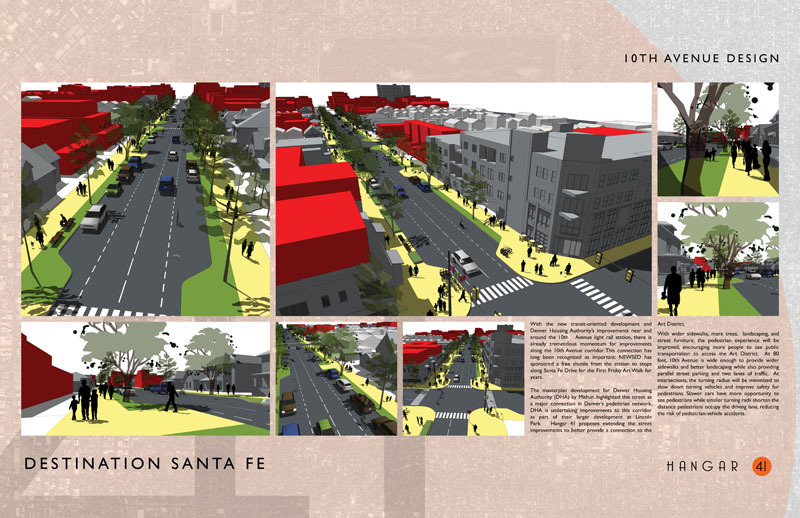 The Santa Fe Vision Plan was a way to help improve our own neighborhood on Santa Fe Dr. in Denver, CO. 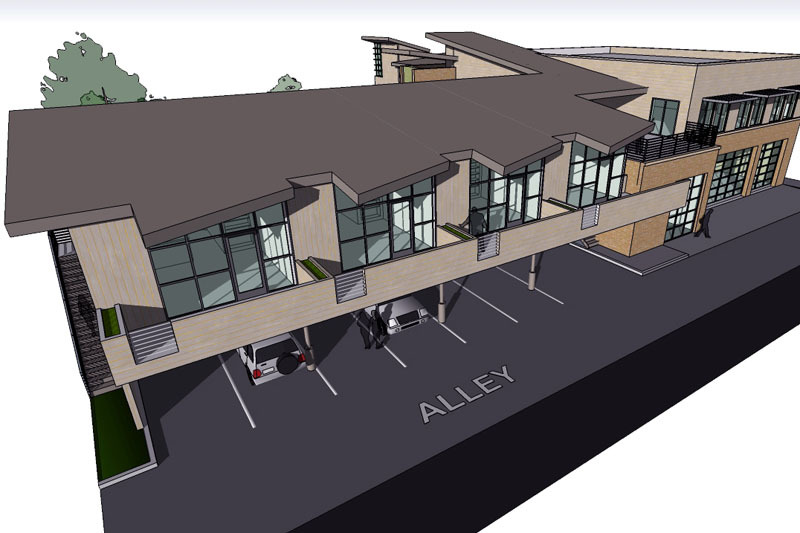 Similarly, civic and community architecture is an important part of our practice. 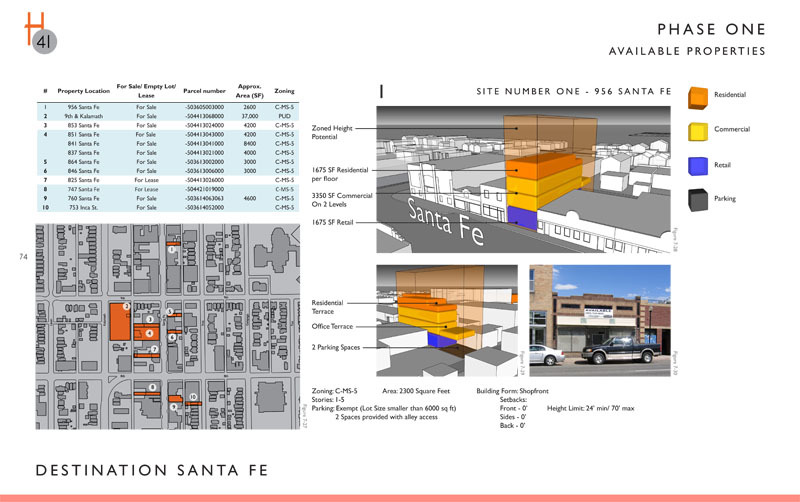 We understand the RFP process have experience working with community groups, non-profits and government agencies. 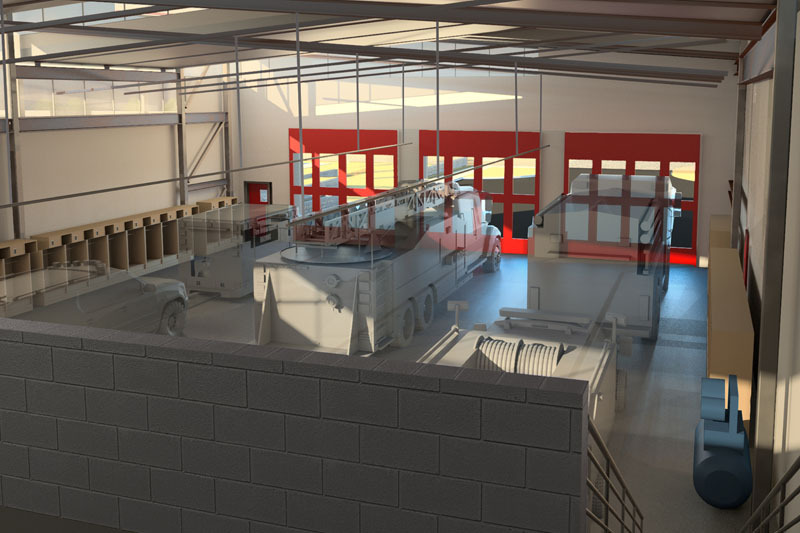 Sweetwater County Fire District #1 (Fire Station #2) - Rock Springs, WY Completion of programming, design, and construction documents for a new 14,020 square foot state-of-the-art fire station and attached emergency response training facility for Sweetwater County Fire District #1 in north Rock Springs, Wyoming. 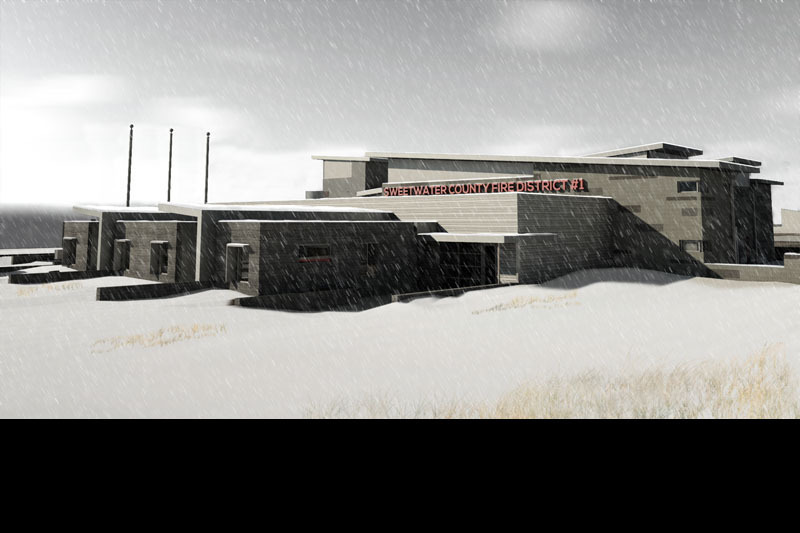 Sweetwater County Fire District #1 (Fire Station #2) - Rock Springs, WY This station is slated to achieve LEED Silver upon completion of construction. 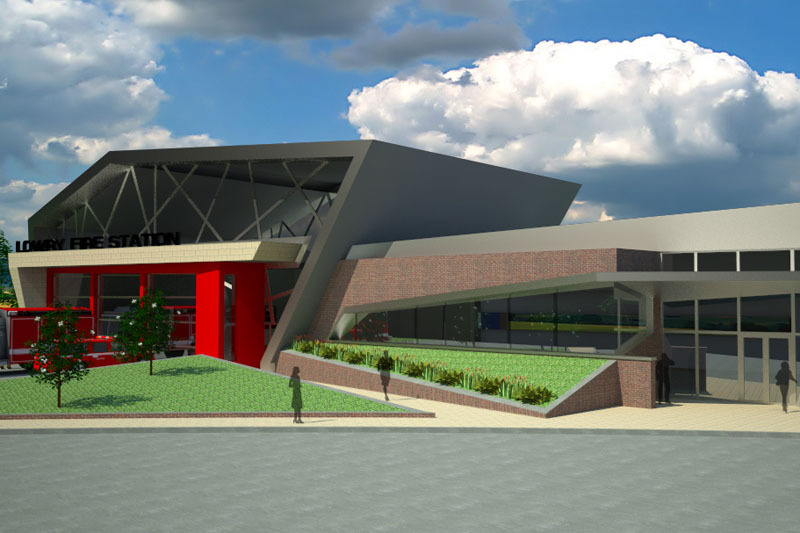 Expected construction start in 2014. 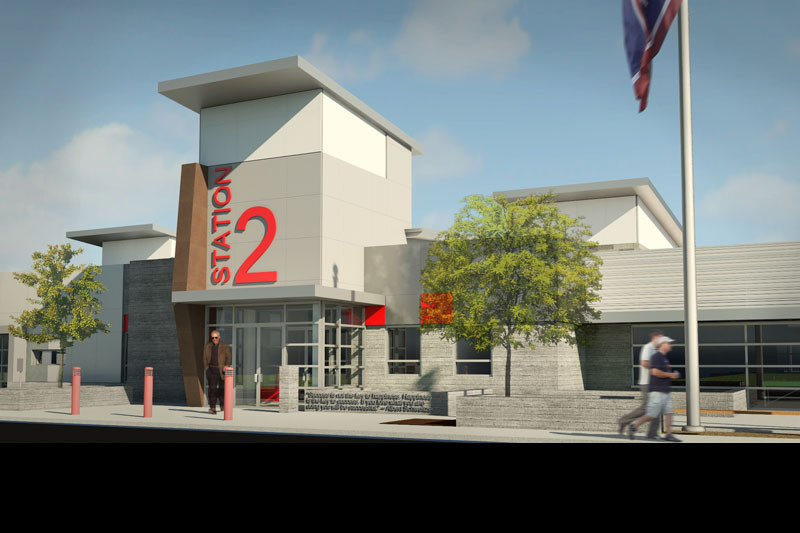 Jackson Hole Fire/EMS - Jackson, WY As part of a six station improvements project, our team conducted a site assessment, a needs assessment, and a space program for the station and recommended that the station be expanded and remodeled to meet current standards and codes. 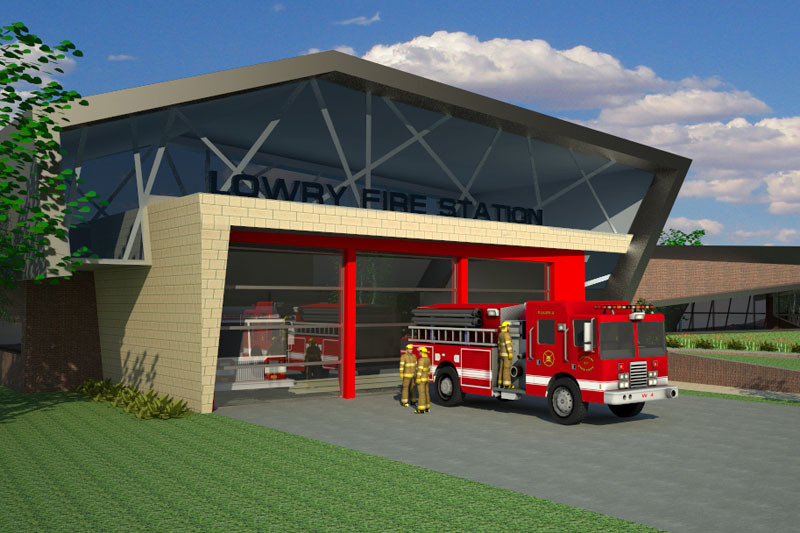 Lowry Fire Station Conceptual Drawings- Denver, CO Conceptual design submittal as part an RFP for a new fire station in Lowry (denver). Lowry is a former airforce base-turned housing development. The geometry of the building is informed by the aesthetics of modern aviation. 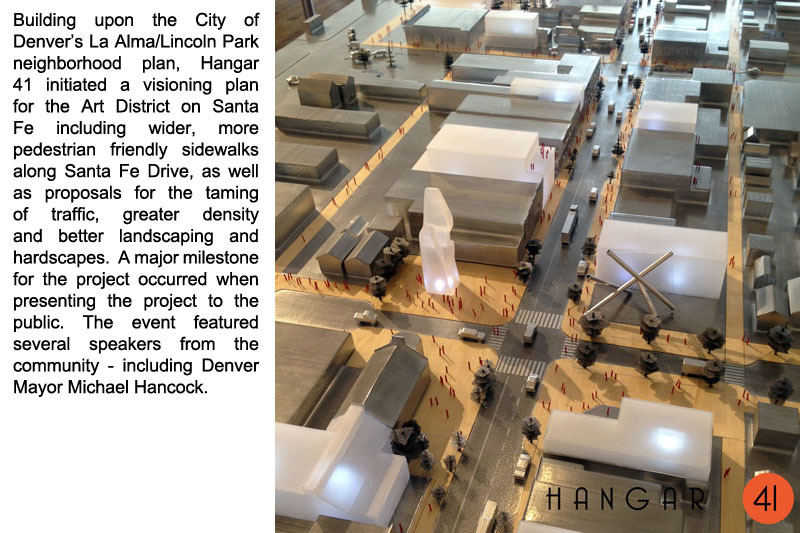 The proposed materials can be seen throughout the community. 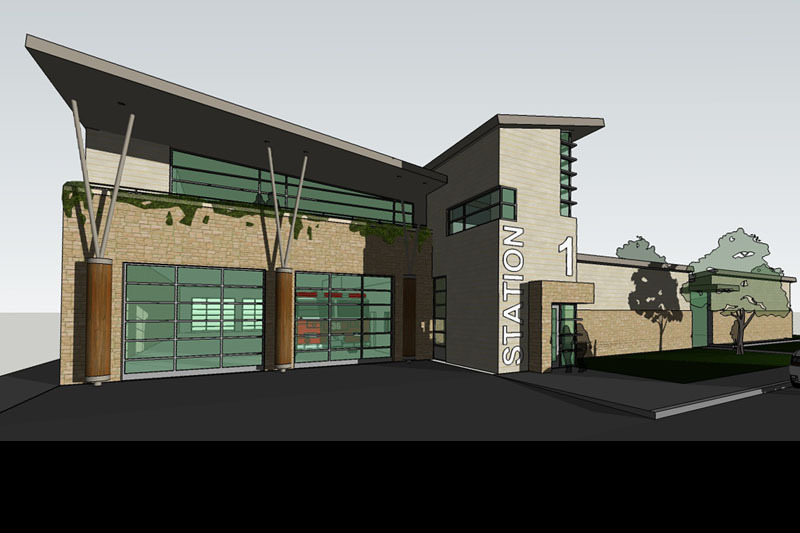 Transit Pavilion - Denver, CO Schematic design for a transit pavilion. 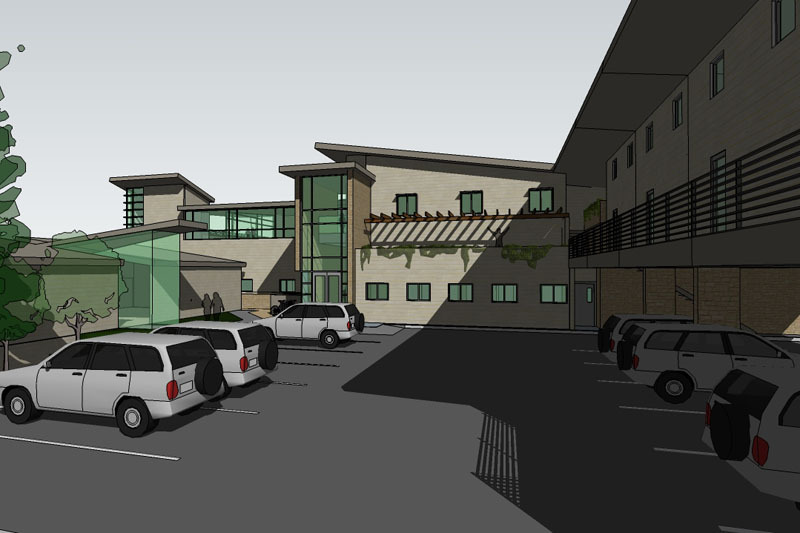 Located in a future Transit oriented development, the design was done for a local developer. 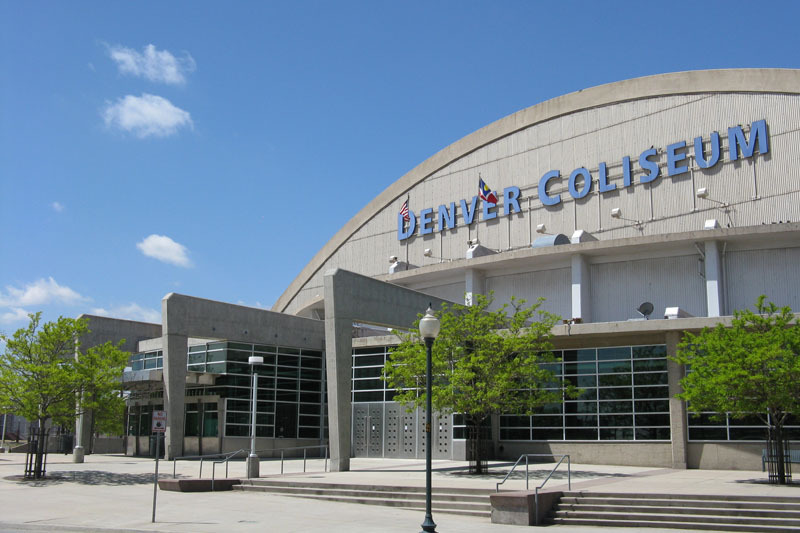 Denver Coliseum - Denver, CO The Denver Coliseum was a interior renovation and addition project. Scope of work included a new ticket booth and a new sign package. Work performed by Buddy Poppitt while at Michael Brendle Architects. 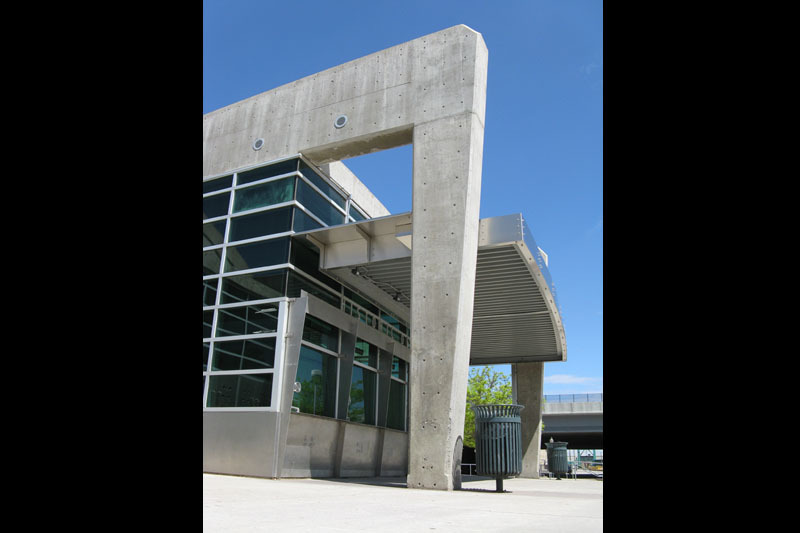 Denver Coliseum - Denver, CO Work performed by Buddy Poppitt while at Michael Brendle Architects..